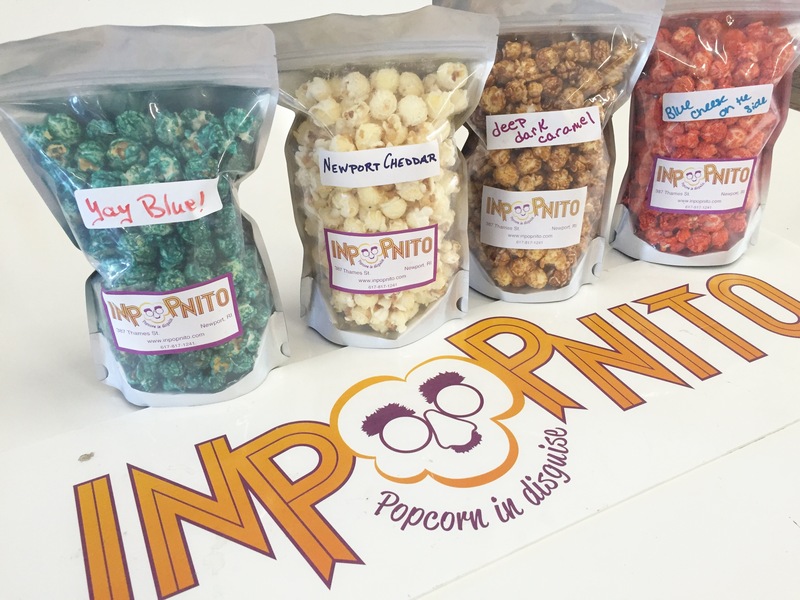 Inpopnito, Popcorn in Disguise is hand made right on Thames Street in Newport. With unique "disguises" like Sea- Sprayed Caramel, Buffalo Breath and Monkey Munch we have something for every snack lover. 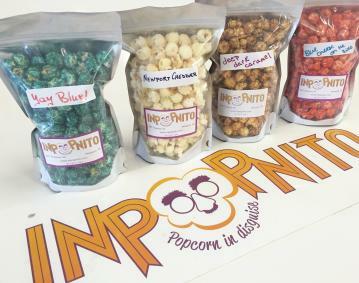 Pop in today to laugh, smile, and just become a kid again, while you sample the great popcorn flavors that Inpopnito concocts.